I very well remember my first day at Sierra Wireless, when it was still a different company named Anyware Technologies. That day I wrote my very first Eclipse plug-in to customize the Console view, and I was almost immediately and genuinely amazed by the versatility of the Eclipse platform. Later on, I had the chance to work on many projects involving a great deal of Eclipse technologies (eRCP, EMF, Xtext, …), and to work on very different kinds of projects: developing an Eclipse workbench for scientists, a mobile app for doctors and nurses, or training dozens of people to Eclipse RCP and Modeling technologies, etc. When Sierra Wireless started to get really serious about Machine-to-Machine we soon realized that the Eclipse Foundation would be the perfect place to start establishing an open consortium around the core technologies that are needed for building M2M solutions. I drafted a charter for an M2M Industry Working Group, and in November 2011 the Working Group was officially created with Sierra Wireless, IBM and Eurotech as founding partners. Two years and a half later, we have gone from 3 to 13 Eclipse projects, from 3 to 9 members of the Working Group, and the community is thriving. 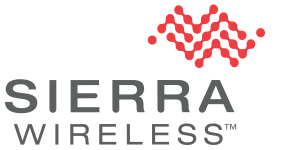 Today, after more than 7 years working at Sierra Wireless, it is time for me to move on. I am joining the Eclipse Foundation next week, to continue growing the already great community of Internet of Things projects and playing the role of technology evangelist I’ve been having for the last couple years.I am very thankful to all my colleagues & friends at Sierra Wireless with whom I learnt a lot, and I am very excited to soon becoming a part of the Eclipse Foundation family! :)I very well remember my first day at Sierra Wireless, when it was still a different company named Anyware Technologies. I know we’ll continue to work together. The future is bright for you, for Sierra Wireless and for the open source IoT community. The last 7 years with you as a co-worker (but also for carshare or bike riding for a few years) were very rewarding. I wish you all the best for your new work and challenges in your Eclipse ‘family’ for which you are devoted since the beginning I met you! And as David said, we will probably work closely with you. Congratulations! I look forward to seeing you more when you visit Ottawa! So welcome, and I look forward working with you! Welcome, Benjamin! You have felt like one of the family for a long time, and it’s nice to have it be official.